The exhibition Crystal Rules is a retrospective of ArandaLasch, centered on their ongoing exploration of crystallographic structure, modularity, and material expression. 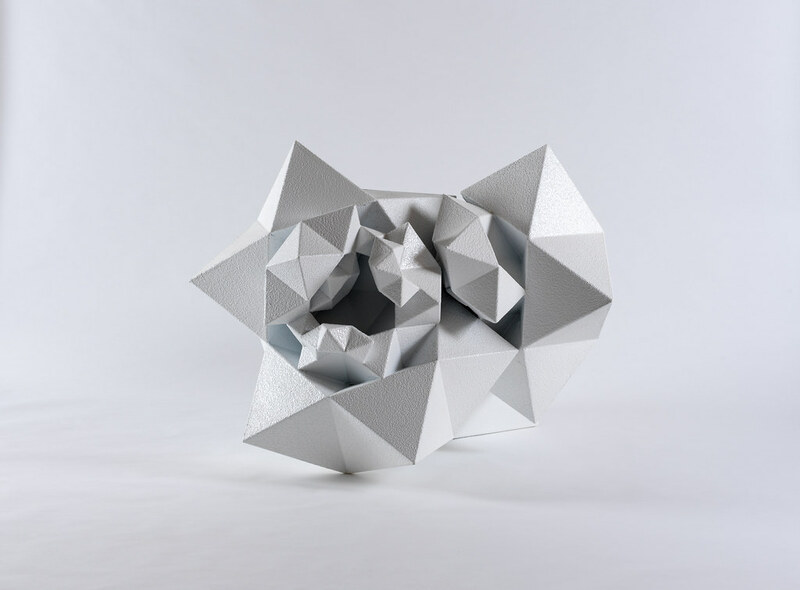 The show will present new works alongside their Primitives and Quasi series, systems of identical geometric shapes configured in a multitude of arrangements. Some of these new works, set to first debut at Gallery ALL Beijing, take inspiration from past designs. This is the case with several new pieces that are grown out of the duo’s continuing collaboration with the artist Matthew Ritchie, but the show also includes one piece that evolves their signature modular style in a new direction: the seamless curved stainless steel Floating Table.